ATV Dust Mask – RZ M2 Mesh Mask Review. 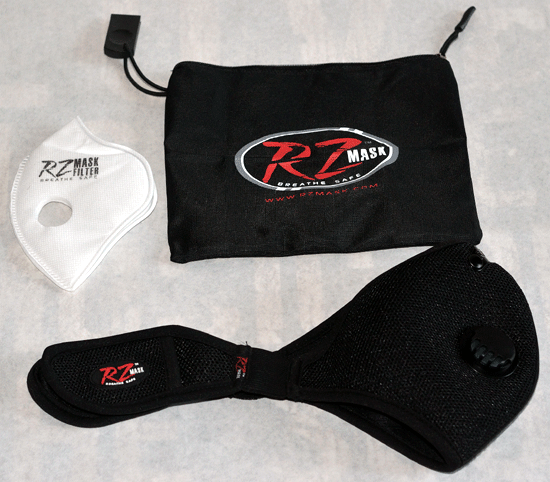 The RZ M2 Mesh Mask includes the mask, extra charcoal filter, and handy bag. An ATV dust mask may not be at the top of your wish list. Until your first ride on a hot, dusty trail! Fortunately, there are several solutions for both ATV riders and UTV drivers. What hasn't been widely available, is a dust mask designed specifically for hot conditions. The new M2 mesh mask from RZ solves that problem. The M2 uses a breathable, moisture wicking mesh material, combined with an activated carbon filter, to keep dust, allergens, toxins, and other nasty stuff out of your nose and mouth. The key to achieve this bliss is a good seal of the mask around the face. 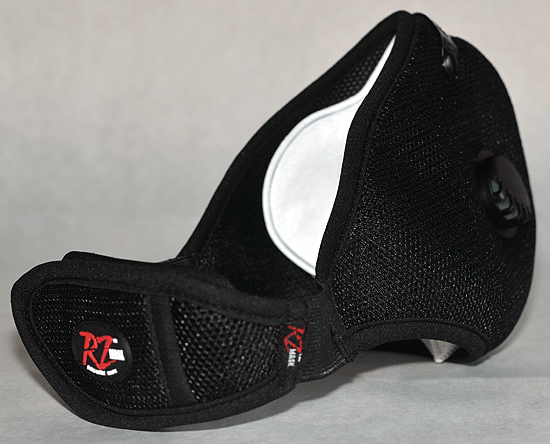 The RZ M2, unlike most any other ATV dust mask, comes in three sizes to insure that good fit. The charcoal filter is held in place with one way exhaust vents. Just click the link below for the best deals online. That fit can be fine tuned further with a metal “bridge” nose piece that can be formed around the nose for the best seal possible. An elastic and mesh strap that secures behind the neck with velcro keeps the mask secure on the face. We were sent both the regular and X-large versions of the ATV dust mask, both in black, for our testing. Everything about the RZ M2 had the look and feel of top quality. From the very nice packaging to the mask itself. The included filters and storage pouch continued the impression. Three months of torture testing would tell us if that look of quality translated into real world durability. From the height of allergy season to 100 degree plus days, we put the RZ masks through the harshest conditions imaginable. 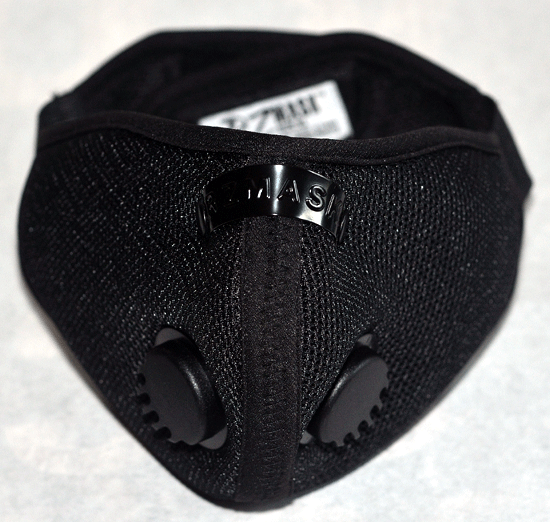 The RZ dust mask uses dual exhaust vents and a metal nose bridge for the best fit. We're happy to report that impression of quality was no illusion. We didn't encounter a single malfunction with either mask. After plenty of abuse, we would expect a long usage life from the RZ M2 mask. So that covers quality and durability, but how did it perform as an ATV dust mask? Or, in our case, a UTV dust mask since our testing was split between ATV/UTV. Actually, RZ lists multiple uses for the M2 mask for allergy sufferers, as well as those that work in dusty or toxic conditions. We see no reason to disagree with those claims. Back to how it worked as a UTV or ATV dust mask. First off, the single strap used to secure the mask allowed us to find a reasonable compromise between comfort and holding the mask in place. That hasn't been the case with some other masks we've tried. The charcoal filter insert does a good job of keeping dust out of the nose and mouth. It's much denser than the mesh of the mask, so there is some blocking of air flow. In moderate to warm temps, that's not a problem, but when the heat is on, it becomes more noticeable. The RZ M2 Mesh Mask offers improved hot weather comfort without sacrificing filtering effectiveness. It's not enough to keep us from using this ATV dust mask, but there is a trade-off between comfort and dust control in hotter conditions. An unexpected benefit was the distinct lack of odors whole wearing the RZ M2 mask. We noticed this during a trail stop when we were overwhelmed with a foul smell after removing the mask. We immediately put it back on and – no more smell! Being long time allergy sufferers, we have to say this mask did seem to improve the condition. Those with allergies know a mask isn't a cure, but this one sure seem to lessen most of the symptoms. RZ ATV Dust Mask - Conclusion and Recommendations. So if you suffer from allergies, don't enjoy a mouth and nose full of dirt, and ride in moderate to hot temperatures, we definitely recommend that you take a look at the RZ M2 mesh ATV dust mask. The initial price may be higher than some other dust masks, but the obvious quality should provide a longer service life. And the added comfort of the flow through mesh offers something most others don't. If you want to check 'em out, just click on the link below for the best daily deals online.